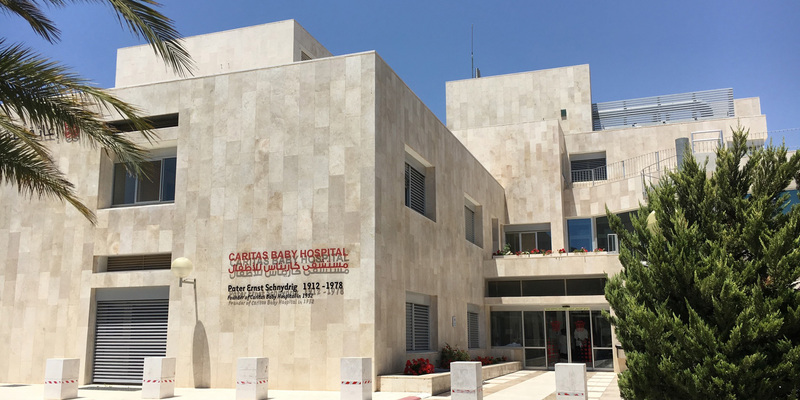 SJU’s Institute of Clinical Bioethics (ICB) accepted its first international bioethics consultancy at the Caritas Baby Hospital in Bethlehem, Palestine, as part of its mission to educate health care professionals as effective leaders. The charity hospital provides care for nearly 40,000 children on the West Bank and in Gaza, many of whom are refugees. The affiliation has opened new avenues of research for SJU undergraduate and graduate students and enriched pre-medical students’ understanding of Jewish and Muslim perspectives on bioethics. “This experience will enable our students who become practicing physicians to communicate more effectively with patients who follow these faith traditions,” says Institute Director Peter Clark, S.J. ’75 (B.A. ), professor of theology and health services. In addition to its consultancy work, the ICB exposes SJU students to the growing field of biomedical ethics through the minor in interdisciplinary health care ethics and the Allen and Dolores Gustafson Distinguished Research Fellows Program.